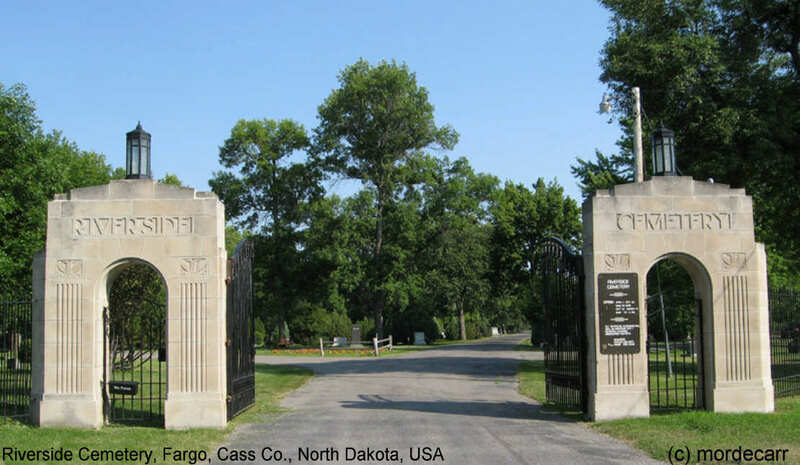 Riverside Cemetery is the largest and oldest cemetery in Fargo-Moorhead, with over 18,000 burials. Established in 1879 and incorporated in 1903, Riverside is a tranquil wooded setting along the Red River in south Fargo. The land where the cemetery is situated was first owned by the Northern Pacific Railroad and sold to James Holes in 1875. The first recorded burial was Clemina Lowell on February 16, 1878.